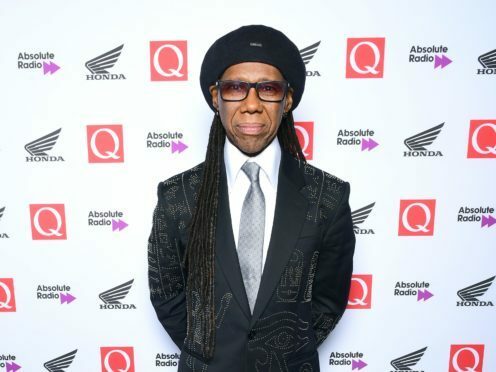 Speaking at the Q Awards at London’s Roundhouse in Chalk Farm, the Everybody Dance hitmaker said the UK had had “so much to do with the development of my career”. Rodgers, 66, added that seeing Roxy Music on stage was the catalyst for him and Chic bandmate Bernard Edwards to develop the group’s unique style. The guitarist, who has collaborated with David Bowie and Madonna, spoke while accepting the legend award at a star-studded ceremony. 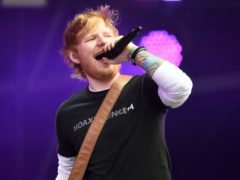 He said: “I’ve done a lot of records in my life and in a strange way, even though I am an American, born in New York City, the UK has had so much to do with the development of my career. “Had it not been for me going around with this girl, who took me to see this then unknown band called Roxy Music, I never would have come up with the concept for Chic. “We were in a bunch of punk bands and whenever we got dressed up in the morning, that was what we went on stage in that night. I went out to this club and I saw this beautiful band called Roxy Music and they were like gorgeous. During the award ceremony, U2 rocker Bono read a three-minute long poem praising Noel Gallagher before presenting him with the outstanding contribution to music award. The Irish rocker and anti-poverty campaigner revealed he had read the same poem at Gallagher’s 50th birthday party. However, Gallagher added he had been so “out of his mind” he had needed Bono to repeat it at the Q Awards. In the poem, Bono described the ex-Oasis star as a “student of John and Paul”, an “alchemist” and a creator of “pop chaos”. Gallagher, accepting the gong, said he was sure he had been awarded the same prize a few years before, remarking that this was a “sorry indictment” of the industry. He said: “I had a look at my trophy room before I came out here and I was like, ‘I’m sure I’ve f****** had this before’. Noel Gallagher was also handed the best solo artist award.